The development of heavy industry is growing stronger and stronger in modern society, and the birth of aluminium alloy has promoted the development of many industries. Nowadays, aluminium alloy shell products can be seen everywhere in daily life. Stamping is a relatively basic and common means in aluminium alloy shell processing. Stamping and numerical control processing can be combined to obtain aluminium shell of various products, while some products have only aluminium shell. Need or need pure stamping. The complex structure of aluminium shell needs to be stamped, so the determination of the number of processes is very important. The number of processes has a certain impact on the product size accuracy, production efficiency, production costs, etc. What problems need to be considered in determining the number of stamping processes? Here’s an introduction. 1. The order quantity of aluminium alloy shell: When large order is produced, the process should be merged as far as possible. Compound stamping or jump stamping should be used to improve production efficiency and reduce production cost. Simple die stamping can be used in small and medium order production, which can reduce the cost of die manufacturing. 2. Requirements for dimensional accuracy of aluminium shell; when dimensional accuracy is high, some auxiliary processes can be added to ensure product accuracy and reduce scrap. 3. The existing conditions of moulding and press equipment in enterprises; too complicated moulding and assembly is a great test for the level of moulding conditions in enterprises. 4. The stability of die production for aluminium shell; there are many factors affecting the stability of die, such as die material, die assembly accuracy, lubrication conditions, etc. When determining the number of processes, some processes can be added appropriately to avoid the ultimate deformation during stamping, which can effectively improve the stability of stamping process. 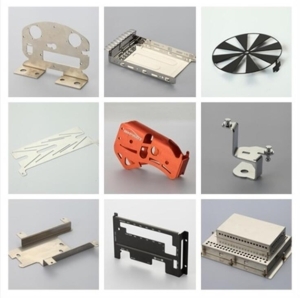 We are professional Metal stamping maker in China,If you need custom stamping parts, please send us email.